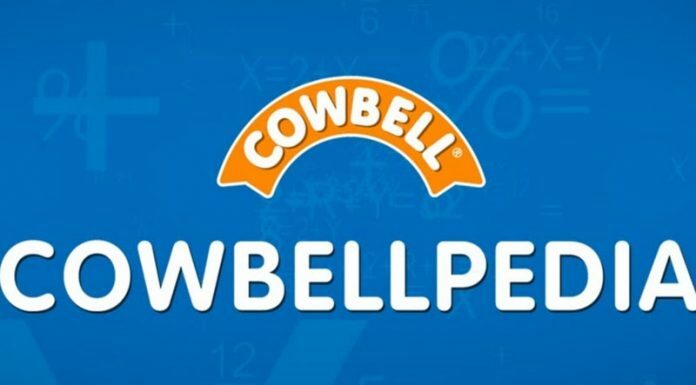 With less than a week to the close of entries for the 2019 Cowbellpedia Secondary Schools Mathematics Television Quiz Show, public and private schools across the country have been mobilizing their best junior secondary three and senior secondary two students to register for the competition. Entry for the competition will close on February 3, 2019. Registration is strictly online through the website, www.cowbellpedia.ng and it is free. According to the Marketing Manager of Promasidor Nigeria Limited, Abiodun Ayodeji, each school is entitled to five candidates who must be between 10 and 18 years old for each category. Ayodeji explained that the registration process requires the candidate or school to visit www.cowbellpedia.ng and click on the link ‘register your school’, fill the form and submit. He said having filled all the required fields in the form, an email would be sent to the school and the primary contact email address earlier provided by the candidate or school. He said when all the data have been completed for all the candidates, the ‘register’ button should be clicked to complete the registration process. “A confirmation slip will be generated to download and will also be mailed to the school, candidate or parent/guardian’s email address. Print the confirmation slip and have it stamped and signed by the school principal. The confirmation slip will be required for admitting candidates at the examination venue,” Ayodeji explained. All the candidates with confirmation slips would sit for the first stage qualifying written examination at their designated centers nationwide on February 9, 2019. The star prize for each category is N2 million and an all-expense paid educational excursion abroad. The first and second runners-up in each category will get N1.5 million and N1 million respectively. For the teachers of the first prize winners, the reward is N500,000 each, while those of the first and second runners-up will receive N400,000 and N300,000 respectively. In the past 21 years, Cowbell, the flagship brand of Promasidor Nigeria Limited, has demonstrated its commitment to the development of Mathematics through various initiatives. The brand also sponsors Cowbellpedia Radio Programme, a five-minute interactive radio Mathematics program on major stations across Nigeria. It also launched the Cowbellpedia Mathematics Mobile App, available on Google Play Store and Apple Store, through which students can test and sharpen their knowledge of the subject.